skacikpl changed some attributes to Ansel block remover: Description changed. 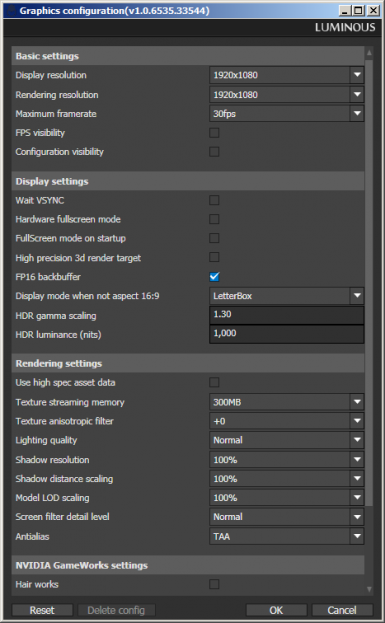 skacikpl changed some attributes to Ansel block remover: File '3DMigoto DOF skip' description changed. skacikpl changed some attributes to Luminous Engine Graphics Configuration Tool: Description changed. skacikpl changed some attributes to Luminous Engine Graphics Configuration Tool: Summary changed. ; Description changed.